Eco-House Citrus Thinner 8 oz. Eco House Citrus Thinner 32 oz. Eco-House Citrus Thinner 16 oz. 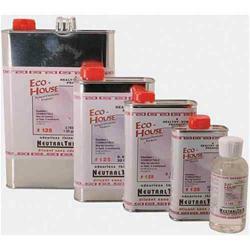 Eco-House #125 Neutral Thin 8 oz. Eco-House #125 Neutral Thin 16 oz. Eco-House #125 Neutral Thin 32 oz. Eco House #125 Neutral Thin 4oz. Disc Eco-House Orange Terpene Solvent 120 ml.